A beautiful, simple and thoughtful way to remind you to pray for your loved ones. 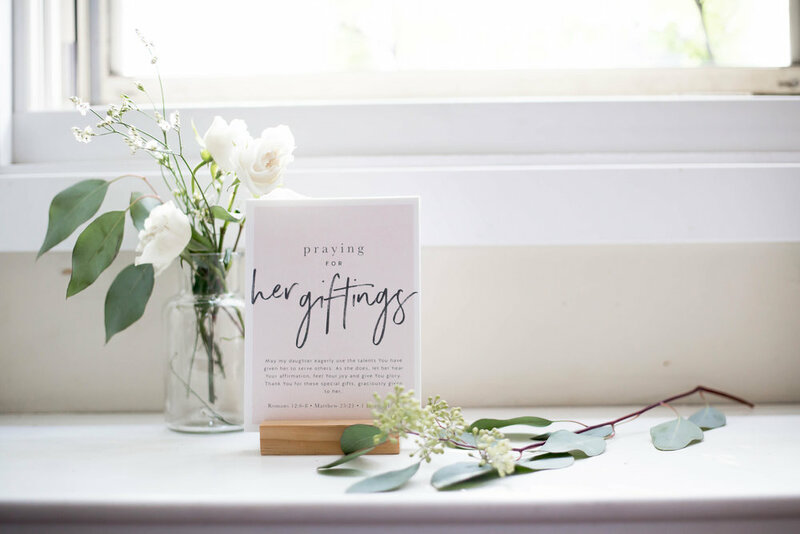 Prayer cards display prayers crafted with 20 life-shaping themes — specifically tailored for your son, daughter, children or grandchildren — and accompanying scripture references. 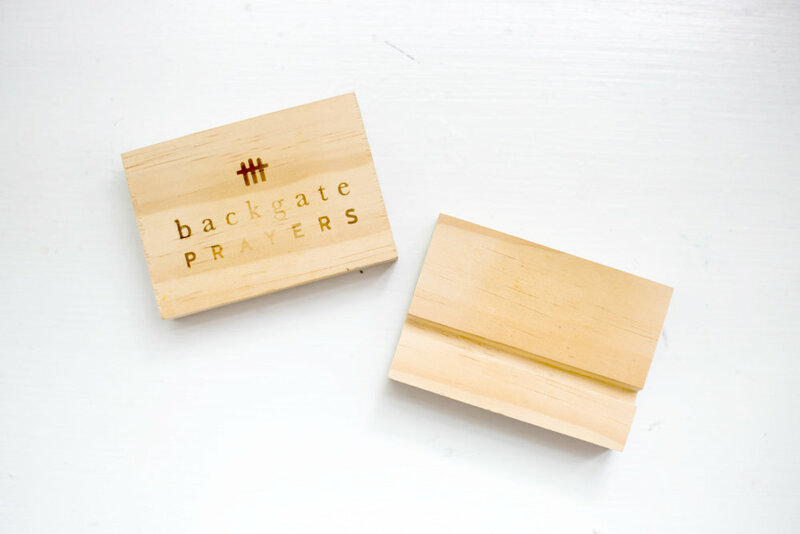 This unique collection of interchangeable prayer cards is displayed in a handmade wooden block. Writing of prayers, designing, printing and wood blocks are all made locally in Minnesota. Personalized Prayer Card Set - Our designer customizes each card in the set specifically for your loved one with their name and picture. Classic Prayer Card Set - Features beautiful typography in place of pictures and is tailored for boys, girls or multiple children. Founded by Joann Shocky, Memories of Home is a unique gift and home decor shop that intentionally blends faith based products for all occasions with a shared message of the richness, yet simplicity, of rural life.